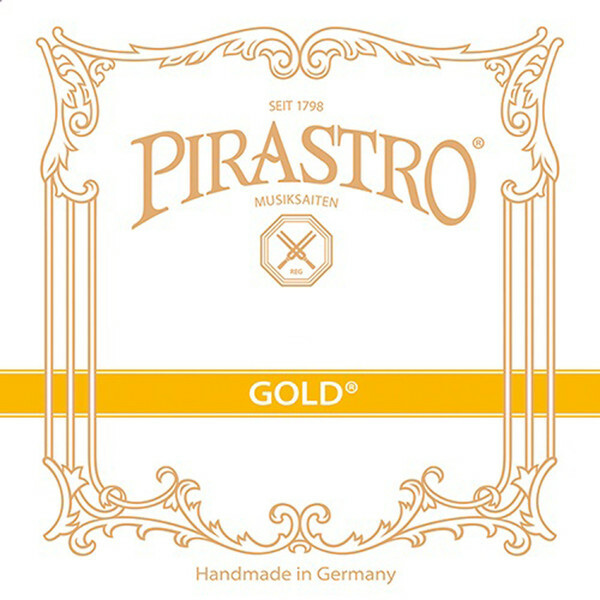 Pirastro Gold Label Violin Strings are a reliable step up for violin students and advancing players looking for an upgrade on stock strings or beginner models. These medium gauge gut strings give an authentic sound and feel without breaking the bank. These strings, made from a sheep gut core, are wound and polished by hand and the resultant sound is brilliant with a rich and complex tonal core. This enables the performer to reach every corner of tonal colour with minimal difficulty. The Gold Label is a fantastic set of strings for advancing musicians with a vivid and expressive tone, that doesn't break the bank.